Despite the season being just five games young, a massive three points were on offer in Phibsboro as both Bohs and Sligo Rovers looked to really kick their season’s into gear. 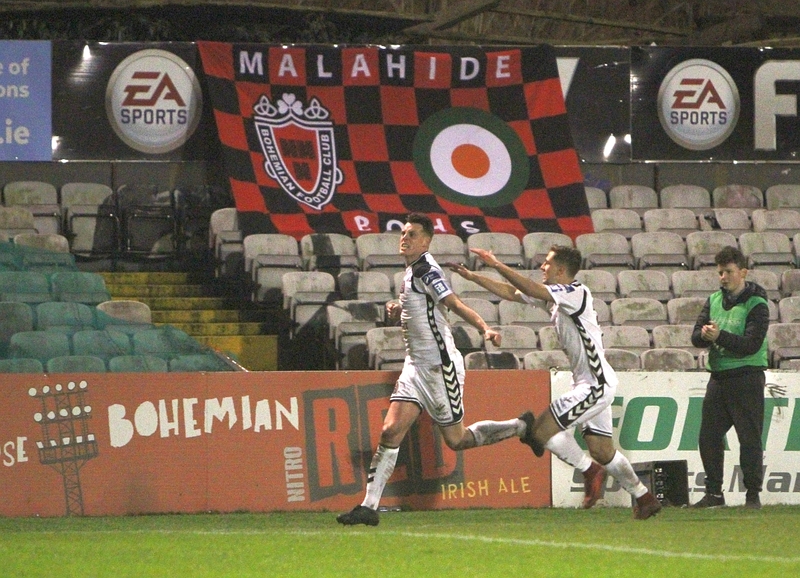 On the back of three straight 1-0 defeats, finding goals hard to come by, Bohs started the brighter and right from the off Eoghan Stoke burst through the midfield to try his luck from 25 yards signaling their intent. Despite the good start from the hosts, Rovers showed they had a threat of their own. Gary Boylan played a lovely weighted through ball to the pacey Caolan McAleer who dragged his right footed effort just wide. Right before the half hour mark the deadlock was finally broken. Stokes collected a long ball from Oscar Brennan on the right wing. The ex-Leeds man cut inside and curled a beautiful left footed effort into the far top corner to send the home fans wild. Their elation was short lived though, as Sligo responded well and got back on level terms just minutes later. Rhys McCabe delivered a deadly inswinging corner and David Cawley was quickest to react at the near post burying his downward header past Shane Supple. The home side reacted well to the sucker punch, with both Paddy Kavanagh and Stokes, who really looked in the mood, going close from the edge of the box before the half. The Gypsie’s came flying out of the traps in the second half and put pressure on the visitors right from the off. And just on the stroke of the hour mark deservedly took the lead again. The pressure from a spate of corners finally told when Karl Moore floated a cross to the back post and Ian Morris did brilliantly to direct the header in the near post. But just like the first half Sligo equalized almost immediately. Rhys McCabe delivered a high cross from the right wing that was only half cleared and as the ball came out of the sky, Adam Morgan showed incredible technique to smash home the left footed volley past Supple for his 4th of the season. Again, Bohs responded positively and it was all the home side from then on in. Stokes had a great effort from just inside the box, curling inches wide with his right foot. Paddy Kavanagh came closest to stealing all three points when his direct run down the right and snap shot from the edge of the box, agonizingly came back off the far post and straight to the feet of Dinny Corcoran who blazed over from three yards out. Luckily for the big man, the assistant’s offside flag saved his blushes as the hugely entertaining game ended 2-2.